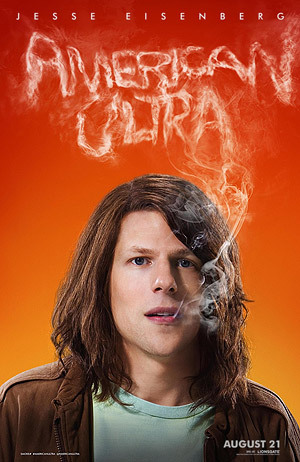 Jesse Eisenberg and Kristen Stewart star in the action comedy American Ultra. Watch the movie trailer and see the posters below. 'Adventureland' (2009) co-stars reunite in the story about a stoner (Eisenberg) and his girlfriend (Stewart) who become the target of a government manhunt. MPAA Rating: R for strong bloody violence, language throughout, drug use and some sexual content. 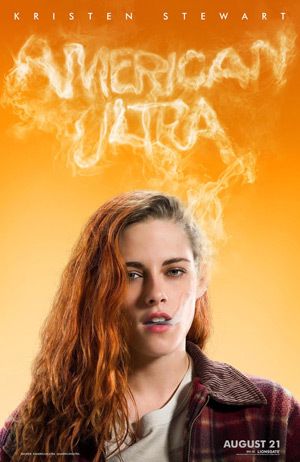 A stoner (Jesse Eisenberg) and his girlfriend’s (Kristen Stewart) sleepy, small-town existence is disrupted when his past comes back to haunt him in the form of a government operation set to wipe him out.